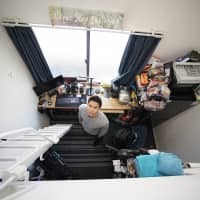 Aki Higuchi, 28, grew up in a multicultural home, where university students from different countries came five days a week to look after her and her younger sister up until she turned 18. 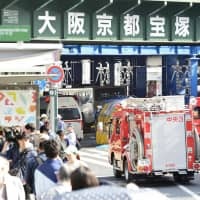 On Monday it was a Turkish student, then a Bulgarian on Tuesday, followed by a Canadian, a South Korean and a Taiwanese, who came to work for the family after seeing a help-wanted ad put up by Higuchi’s working parents at university dormitories for international students. They picked Higuchi and her younger sister up from school, played with them, prepared meals and dined together. At the dinner table, her Japanese father and Chinese mother often debated with the students about controversial international issues like the interpretation of history. And her father always urged Higuchi and her little sister to voice their opinions even when they didn’t have much knowledge about the subject being discussed. “It was like learning about the world from home. They broadened my perspectives and made me realize that there are so many different cultures and ways of seeing things,” Higuchi said. 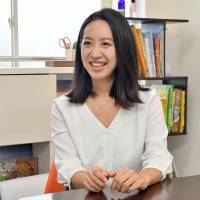 Hoping to provide children with similar opportunities to meet people who could be role models and expand their life choices, Higuchi founded Selan Inc. in Tokyo in 2015 and launched a baby-sitting and English tutorial service staffed by fully bilingual tutors. Called OmSister — “om” being short for omukae, which means to pick up — the tutors pick children up from schools and provide English lessons in the home with an emphasis on cultivating presentation skills. The service became a hit with working parents, and the number of children they look after has grown quickly — to more than 200 in just over two years. “Children’s communities can be quite small. They often have only schoolteachers or their parents as their role models,” Higuchi said. “I want to expand such communities, and provide them with chances to meet tutors who could change their lives. 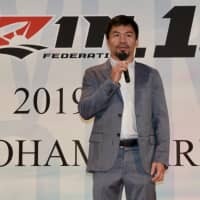 “I know firsthand how important it is to have such opportunities when you are young,” Higuchi said. 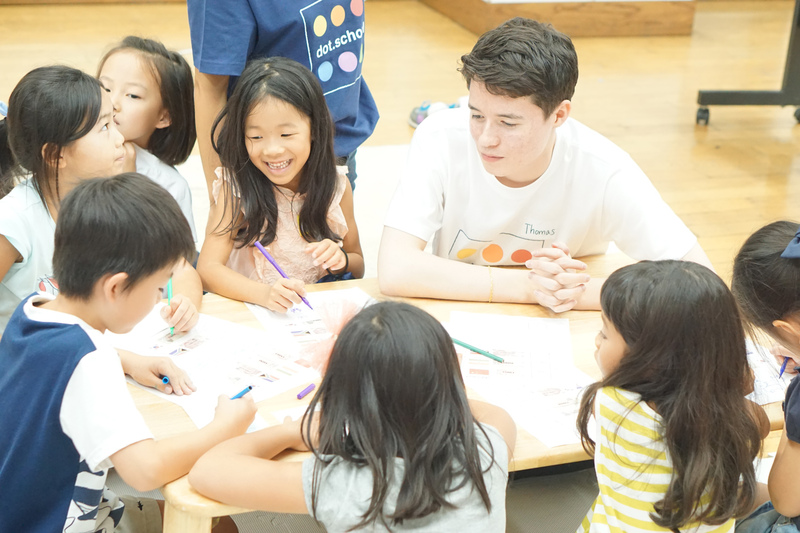 In October, in a bid to expand its reach, the company opened a liberal arts weekend school for elementary school children in Tokyo’s Meguro Ward. Named dot.school, the school teaches children subjects ranging from diplomacy and philosophy to human rights and business with classes in English. “These are really difficult subjects. So we are breaking them down to make it easy for children to understand,” Higuchi said. For example, in a diplomacy lesson, children are asked to think about and discuss the best ways to solve a territorial dispute between two countries without waging war. Children are encouraged to speak up, and regardless of what they say the teachers always praise students when they present their opinions, she said. “I want to connect classrooms in different countries to create a global learning environment,” she said, adding that one possible approach could be to connect them via the internet using big screens. “Then you can see a class in China on a screen in front of you, and America at the back and the Philippines on the right,” she said. Higuchi’s passion for global education stemmed not only from her experiences as a child but also from the few years she spent in the United States and China, where she was encouraged to voice her opinions. But even for Higuchi, who grew up in such an environment, it was tough to compete with her Chinese peers in debates when she went to study at the prestigious Peking University, after she quit her university course in Japan in order to challenge herself more. Even when the topic of a debate was about Japan, she said she was no match for the Chinese students, who often had deeper knowledge. Such experiences made her realize the lack of liberal arts education in Japan, as well as the necessity to train students to think for themselves and articulate their opinions. 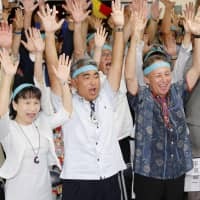 Uniformity, after all, is still praised in Japan’s education system, and students are often discouraged from being different or unique, she said. 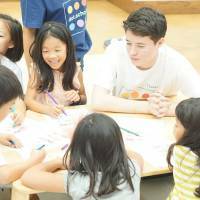 Another of Higuchi’s goals is to launch a scholarship program for elementary school students. “Currently there is no scholarship for elementary school students. 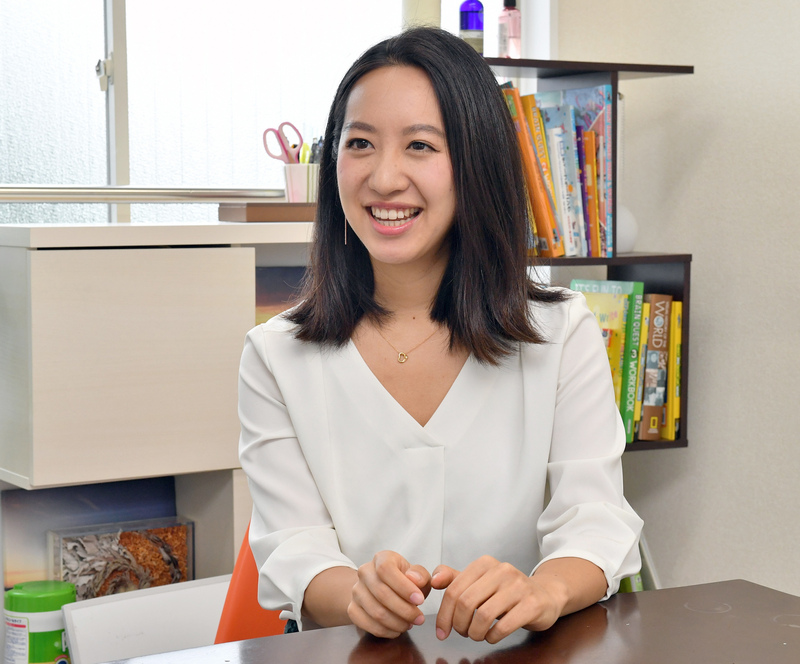 I want to create financial support programs to help those who are eager to study and receive special education that nurtures a global mindset,” Higuchi said. “Generational Change” is a series of interviews, profiling people in various fields who are taking a leading role in bringing about changes in society. children, education, English, babysitters, bilingual, Aki Higuchi, Selan Inc.